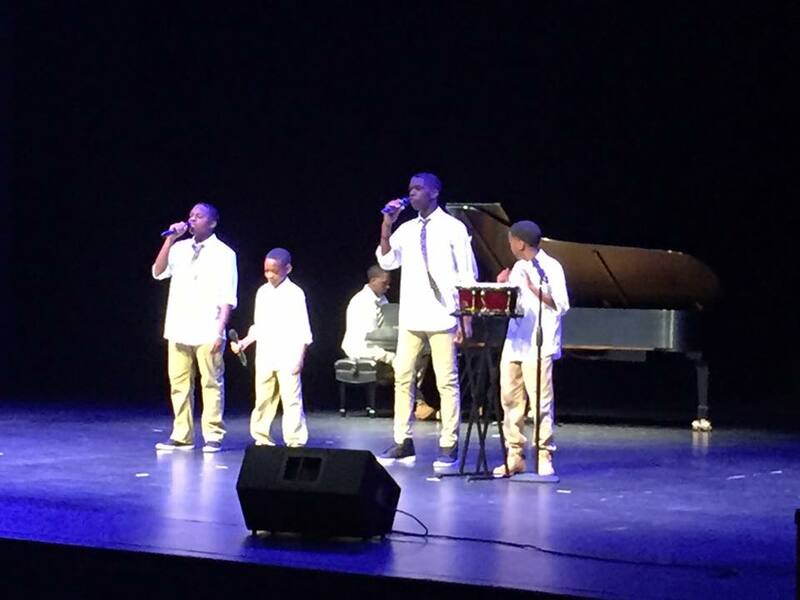 The Arts Alive Talent Showcase for Vance County Schools on Saturday, March 25, 2017 featured about 70 students from the school system who shared their amazing talents in singing, dancing, reciting dramatic readings and playing instruments on the stage at the McGregor Hall Performing Arts Center. The showcase also featured over 200 pieces of visual art work done by students from elementary to high school in Vance County Schools. Hundreds of local residents, family members, local educators and others came through McGregor Gallery throughout the afternoon to view the art work on Saturday. The showcase culminated with the two-hour show in the center’s auditorium that included an audience of over 600 people. Arts Alive from Edward Ortega on Vimeo. Student performers in the show were the Southern Vance High School Ensemble; Ciara Bundy of Henderson Middle School; Daniel Thorpe of Southern Vance High School; Elizabeth Black of Aycock Elementary School; the Dabney Royalty Show Choir of Dabney Elementary School; Miracle Chin and Sarah Burns of Southern Vance High School; Anna Watkins of Aycock Elementary School; the Clarke Elementary Praise Dance of Clarke Elementary School; Jadyn Jones of Northern Vance High School; My Brother’s Keeper, who are five brothers attending Southern Vance High, Henderson Middle and Aycock Elementary schools; the Shiloh Baptist Liturgical Dance with performers from Southern Vance High and Henderson Middle schools; Valentina Ortega- Mora of Aycock Elementary School; Jesse Peele of Carver Elementary School; Kaitlyn Tant of Southern Vance High School; the Southern Vance High School Step Team; Jose Gonzalez and Jordan Lewis of Southern Vance High School; Anterrahn Harris of Northern Vance High School; and the Southern Vance High School Drumline. 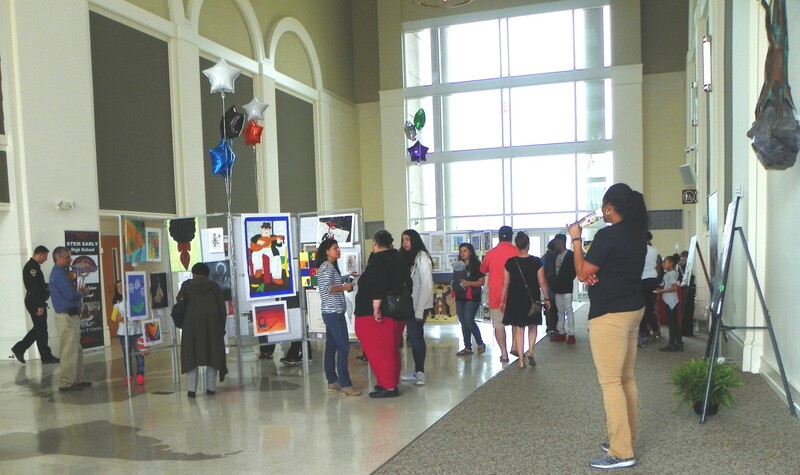 Arts Alive was presented by the Vance County Public School Foundation and Vance County Schools as a celebration of the arts in our public school system. It also served as a fundraiser for the foundation. Proceeds from Arts Alive will be used by the foundation to support educational initiatives in Vance County Schools. Sponsors for the event included: Bob and Roxanne Fleming; Marion Perry for Tokens of Love; Rose Oil Company and Rose Propane; Archie B. Taylor Jr.; Tegarris Associates Realty Inc.; the Henderson-Vance Downtown Development; Dr. Anthony D. Jackson; Michael and Vanessa Jones; Maria Parham Health; Prim Residential Rentals Inc.; Margier White State Farm Insurance; Ronald and Dr. Cindy Bennett; Dr. Trixie J. Brooks; Talmadge and Michele Burgess; the San Souci Literary Club; the Twilight Gardeners; Edward B. Wilson; and Wayne and Susan Adcock. Arts teachers in our schools played a major role in promoting Arts Alive and getting their students involved in submitting visual art work and in doing the performances. Art, drama, music and band teachers all played key roles in the success of the event. Video above produced by Edward Ortega, teacher at Vance County Schools. Arts Alive art work displays and the showcase performances in McGregor Hall. 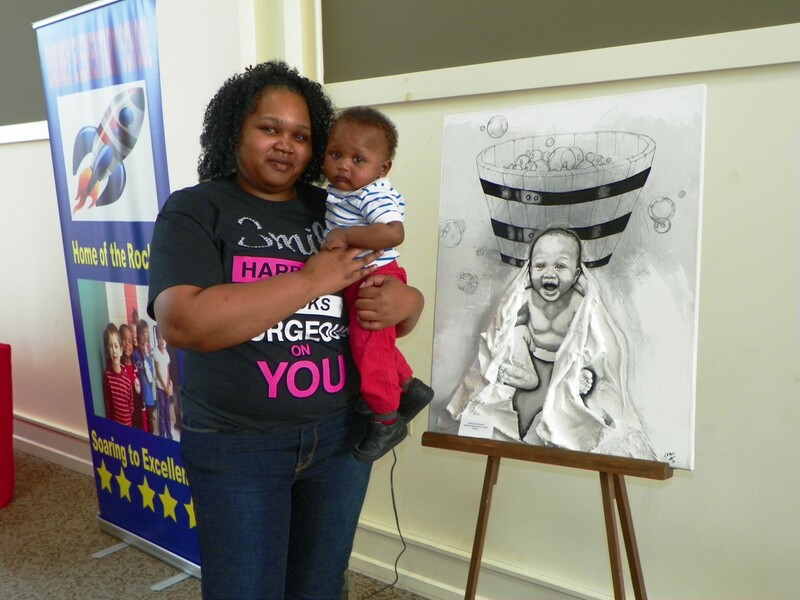 Image Information: Valencia Shearin, a parent of a Dabney Elementary School student, holding her youngest son, Caden, beside the painting she created. Caden is the child in the painting.